Everyone has their own musical prefrerence. I discovered my love for music at eleven-years-old. As I entered high school, I had a very narrow view of music. Now in my thirties, I have found a new appreciation for all types of music, from rock to bluegrass to big band to hip hop and everything in between. As my boys have grown to love music, I have done my best to expose them to all genres of music. So, how can jazz education change your child? "Music education is a critical part of any child's learning experience. Today's teachers work hard to come up with a curriculum that provides their students with a true understanding of different styles throughout history. Jazz has a rich heritage that can be traced through generations of musicians and students benefit from learning about its evolution over time. Any music education program will seek to teach students the basics. They need to understand what a note is and how it is interpreted when played by an instrument or sung. Jazz provides a medium for teachers to work with. Soulful songs can be presented to students and examined for melodies and variations. Students can experience the sounds of several instruments and learn to distinguish one from another. National standards list several milestones for students to reach and jazz music can be incorporated into each one. Aside from listening to music, students can evaluate specific pieces and discuss what makes one different from another. 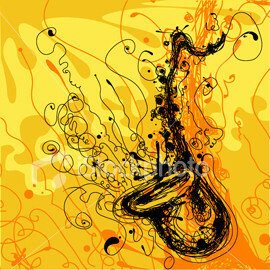 Older students will be able to understand the roots of jazz music and how it evolved during a specific period of time. Jazz can be integrated into several other subjects of study including history, art and even literature. Aside from the basics of music education, jazz tends to inspire creativity in students. It opens up their imaginations and allows them to come up with their own forms of music. The ability to create something new is essential for any student, regardless of the topic they are working on. 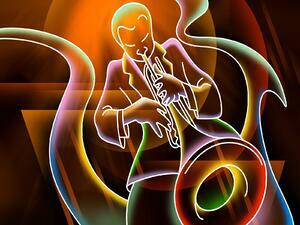 Many teachers report that they start their day with jazz music to get the children's minds in gear for the day. They pair the music with journal writing or even just bell work to get the kids thinking. While reading, writing and math are critical to a child's education, creativity is essential for success as an adult. Children need to be able to look at a musician's creativity and imagine themselves coming up with unique and interesting ways of self-expression. Music education in general gives students an outlet for self-expression. They take in information and examples and come up with something of their own. They have the opportunity to use their own experiences and feelings and produce something new and different that is completely unique. Students learn that while many songs and artists may fall under the category of jazz, each one brings something different to music. This give students more creative license to discover and produce music on their own, without worrying about set outlines they need to follow." Creative Soul strives to open young minds to all types of music. Our instructors have a wide range of styles and experiences. We would love the chance to meet you and show you everything we have to offer.